Now put these into the blender or food processor. 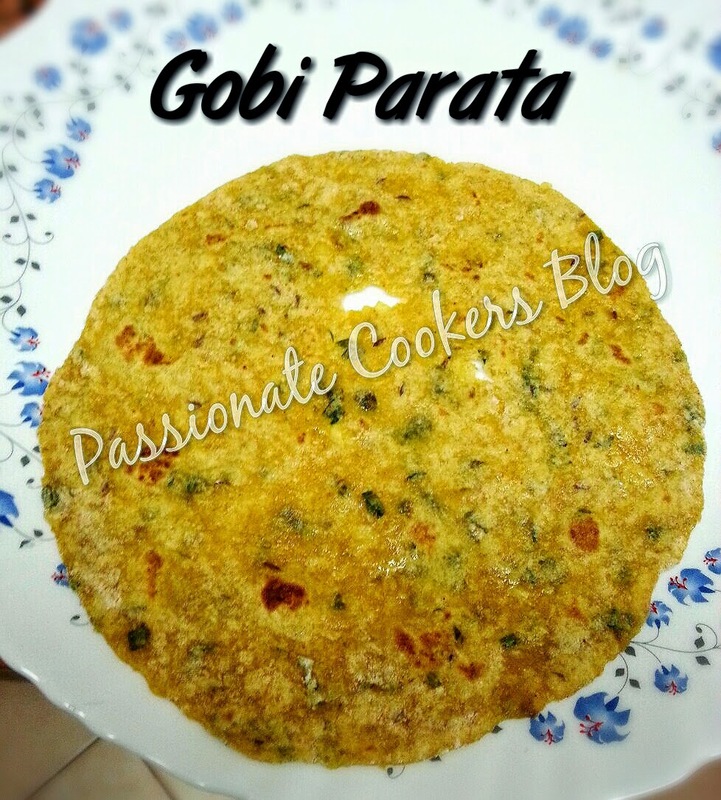 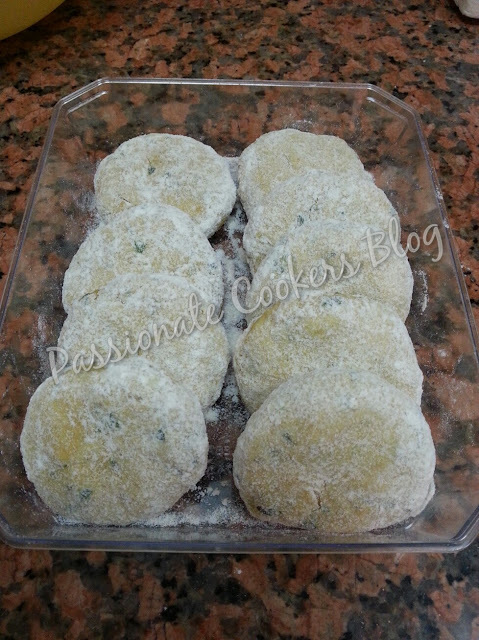 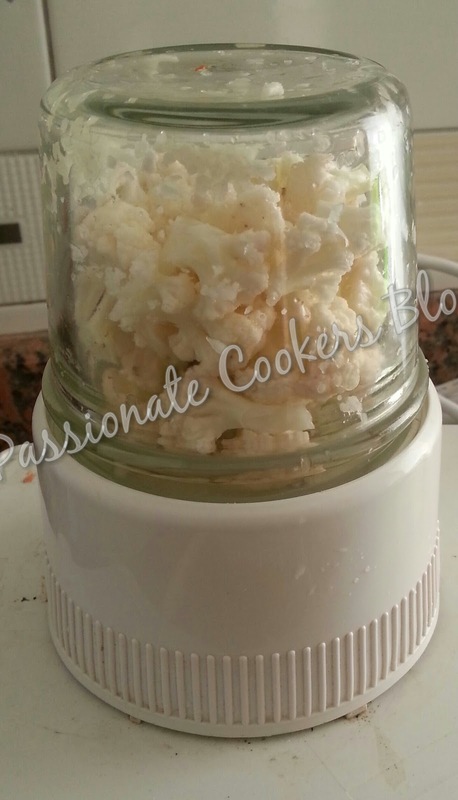 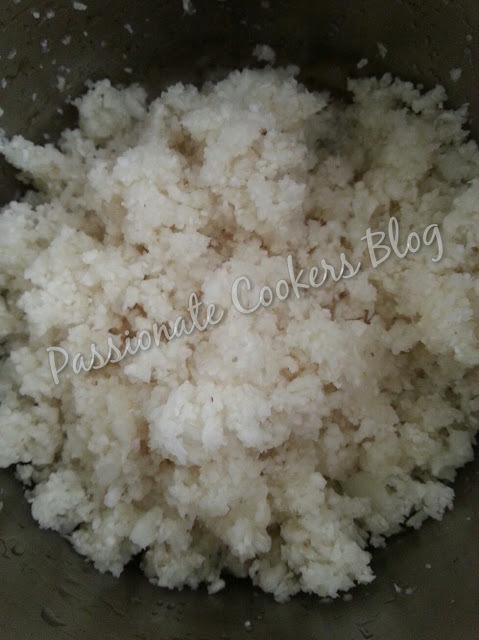 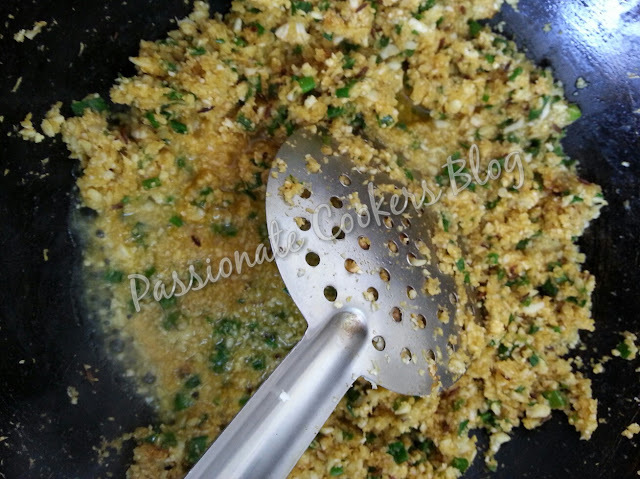 Use the pulse button in ur blender to make the gobi minced. 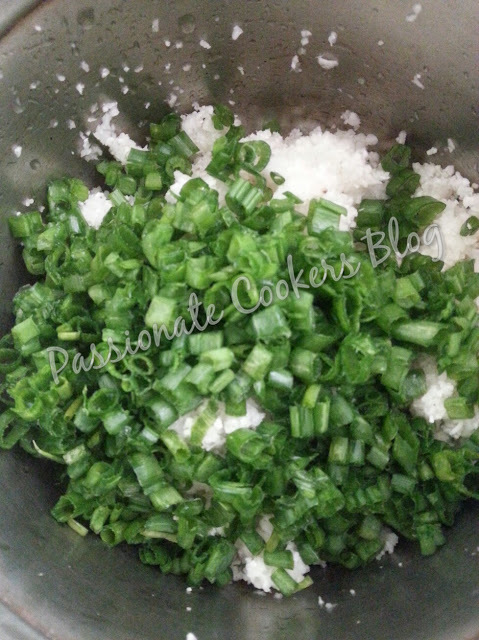 Now chop the spring onions green part into fine pieces. 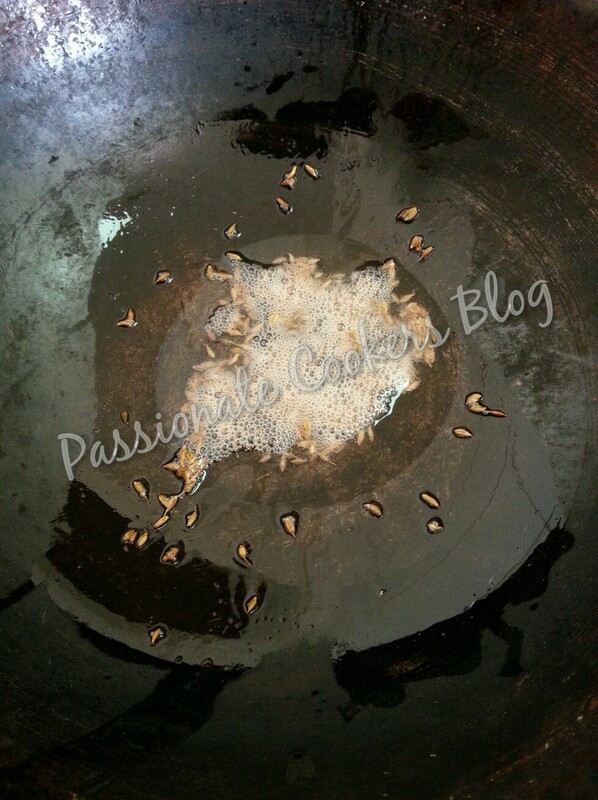 Add oil in a pan and add the cumin seeds and let it splutter. Once the cumin splutters, switch off the heat and leave it for 30 sec and then add the turmeric, chilli n daniya pow to the oil and mix well. 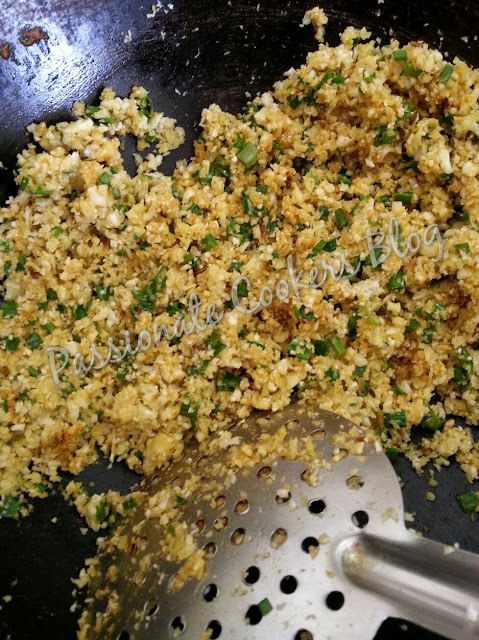 Once the mixing is done, add the minced cauliflower n spring onions to the pan. 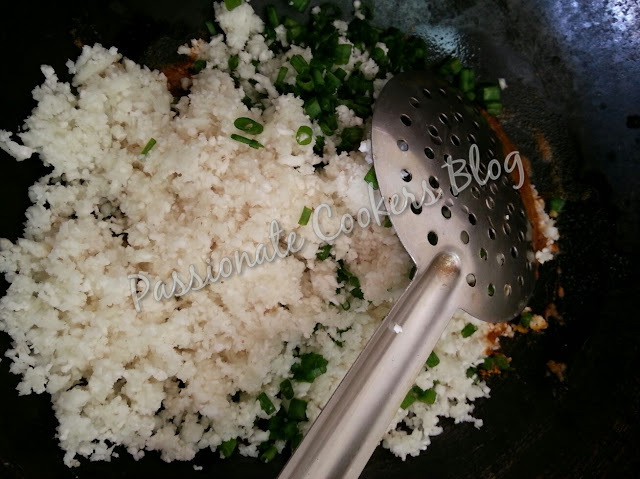 Mix as soon as possible or the chilli pow mixed in oil will get burnt due to the remaining heat of the oil. 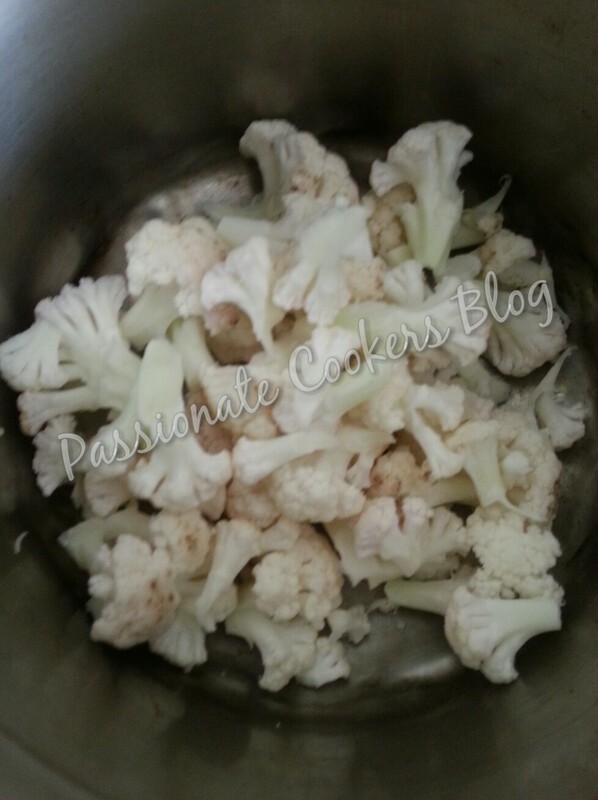 After mixing this switch on the heat and keep cooking for few mins. 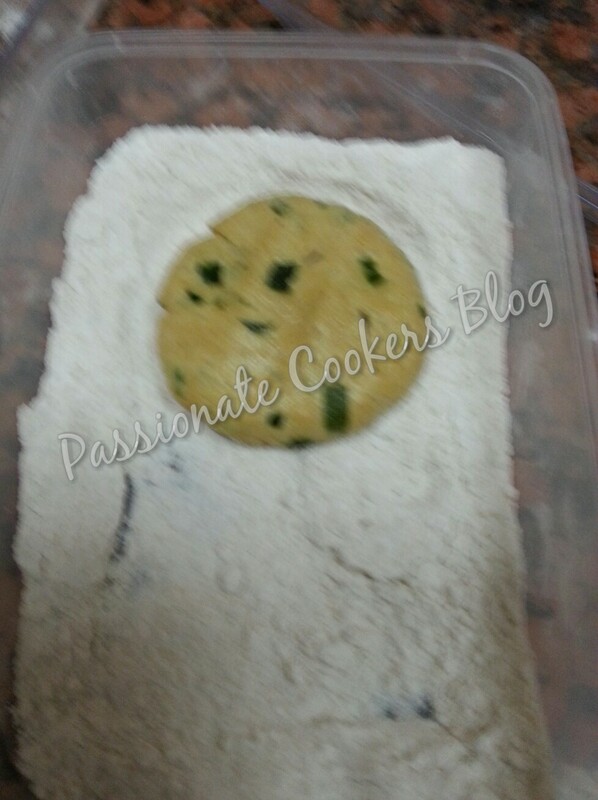 Then add little water and salt to this mixture and cook closed with a lid in moderate heat. Once u feel it has cooked switch off the heat and let it cool completely. 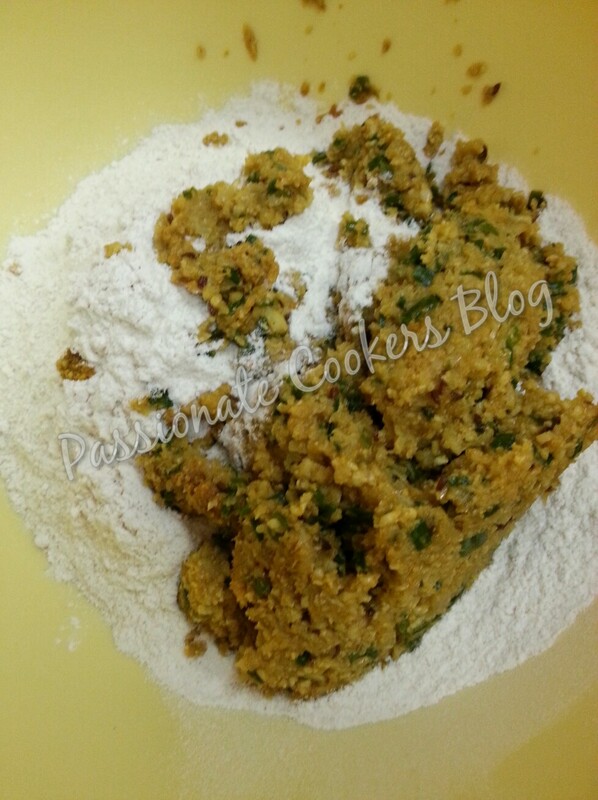 In a big bowl add the wheat flour salt and the veg mixture. 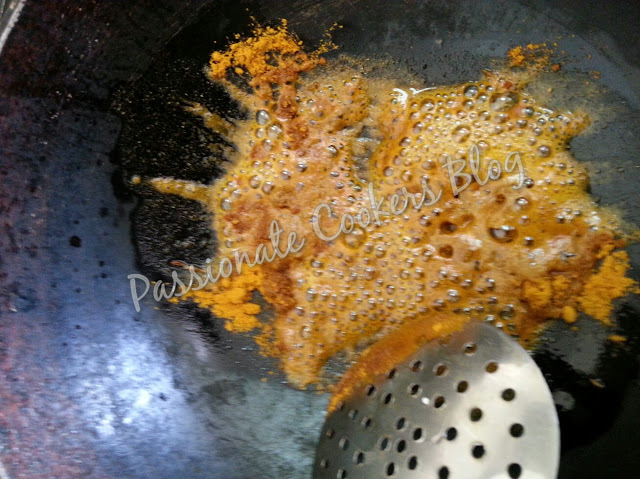 Apply little oil and set it aside for atleast an hour. 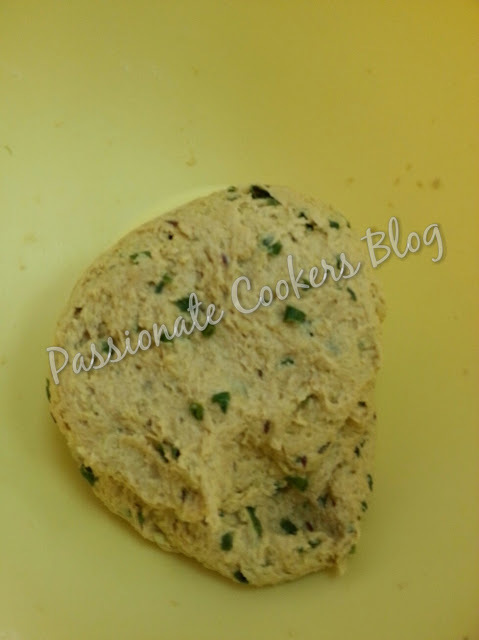 Now follow the regular steps of making chapathi/roti. 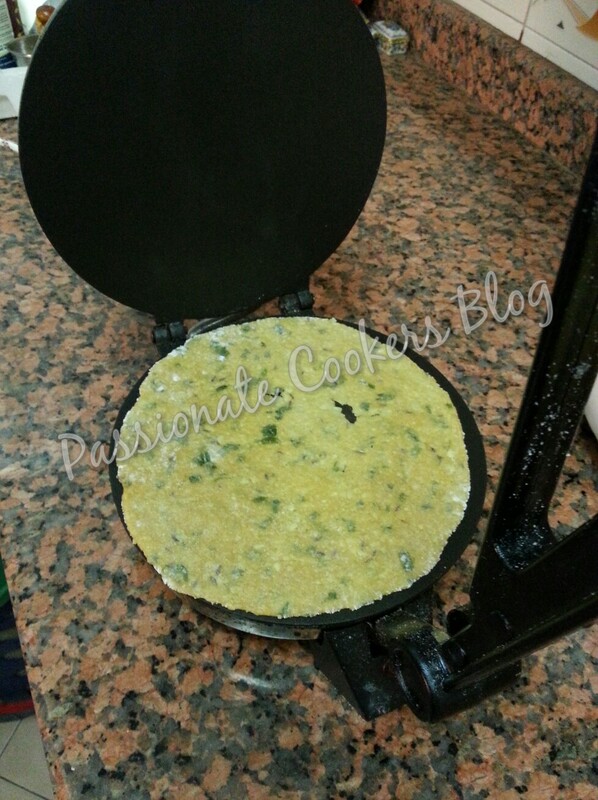 I used a roti maker. Use little oil or ghee to make it soft.